During a 28 week period, works were undertaken to upgrade a level crossing over the Up and Down SCM3 lines in Stirling. St Ninians is situated within a residential area on the outskirts of Stirling and the project involved the upgrading of a level crossing point over the Up and Down SCM3 lines. As part of Network Rail’s commitment to improve these types of crossing Story were engaged to construct a structure that provided safe passage from East to West. The bridge consists of a steel U-frame deck, ramps and staircases and was also to take cognisance of the forthcoming electrification works. Works began with the erection of fencing to delineate the railway boundaries and clearing a section of council owned land to the East of the track, in order to facilitate installation of a site compound, piling platforms and crane platforms. The first stage of the permanent works construction was the installation of piled foundations. This phase of works was completed 5 weeks ahead of programme. Upon completing the sub-structure, Story’s steelwork subcontractor, M&S Engineering were able to commence with installation of superstructure elements. The steelwork was installed on both dayshifts and nightshifts. The final section of work involved the cabling and installation of a comprehensive lighting system. The bridge, stairs and ramp sections consisted of 2no different types of lighting; LED luminaire light units which are fixed to each SHS section of the balustrades on the stairs and ramps, and LED inset lighting units for going across the bridge deck. The site was located in a reasonably open area, therefore plenty of space was afforded to complete the project. However, it did have close neighbours so our management team made sure they liaised with residents and provided weekly updates on the progress and programme of works. 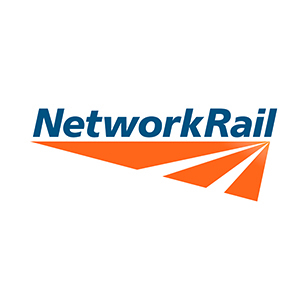 Through these conversations it was felt by both Story and Network Rail that positive relationships were established and the project was delivered in a harmonious manner. We coordinated with Network Rail on a weekly basis. Early engagement with key sub-contractors to allow works progress smoothly, in line with the contract construction programme. Maintained polite and courteous relationships with residents, stakeholders and members of the public who were continuing to use the original level crossing. Excellent work all round, I'm absolutely delighted with this scheme. Thanks to all involved.